Welcome to Barnes Recycling. 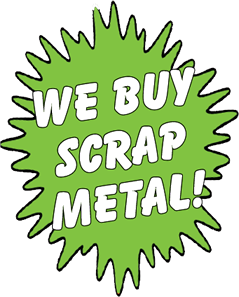 We are a locally owned and operated scrap metal recycling company located in East Tennessee. Throughout Tennessee and nearby states of Kentucky, Georgia, North Carolina, Virginia and Alabama, we buy ferrous and non-ferrous scrap metal at competitive bids with fast service and prompt payment to our street customers and dealers. Our scrap metal yard is located inside an expansive building offering state-of-the-art weighing, scrap recycling and materials handling equipment. Our trained staff works closely with you to provide the best service and pricing available. Barnes Recycling strives for compliance with environmental regulatory requirements and operates as a friend of the environment. We provide recycling opportunities to local and regional businesses and the surrounding community. Barnes Recycling management examines future decisions and operates daily with environmental considerations by maintaining diligence to the Barnes Recycling commodities acceptance policy and by documenting roles, responsibilities and work instructions for personnel associated with activities that could have an environment impact. With a strong tradition of excellent service and safety, Barnes Recycling services Industrial accounts, including governmental entities, Core Buyers and the community throughout East Tennessee.